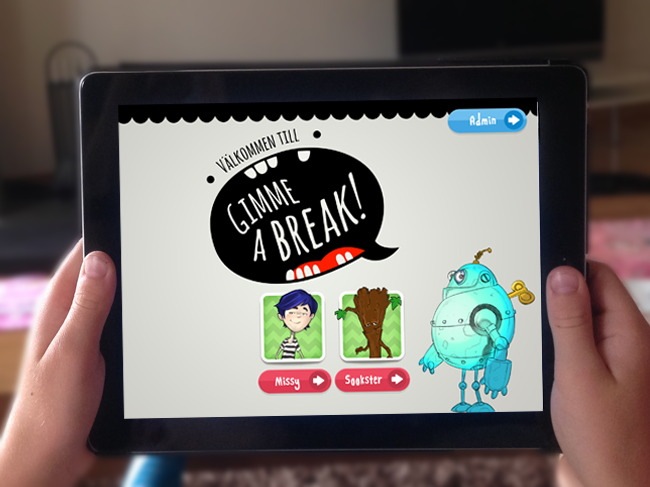 Startsida Bloggportalen Digital service innovationGive Me a Break! We believe in relevance and usefulness in our research. That’s why we’re very happy to announce that one of our research teams have received the prestigious Innovation Prize by the Livestrong Foundation for the app Give Me a Break – an innovative solution for post-cancer treatment research. Our project was selected and recognized in competition with 752 other contributions from all over the world. Give Me a Break is a tablet-based app for building peer support between children cancer survivors, and a starting point for establishing long-term friendships and social networks transcending to the real world, other social media platforms, and to a high-quality healthcare dialogue with doctors and nurses. – By leveraging the power of digital, we hope to help young cancer survivors create social coherence and through that, hope for their future, says Pontus Wärnestål, the project’s Interaction Designing and Assistant Professor at the Department of Informatics. The CHIPS (Children, Health, Interaction and Participatory Service design) research team consists of Jens Nygren, Petra Svedberg, Pontus Wärnestål, Mattias Gunnarsson, and Susanne Lindberg.